Verizon Tiered Data: Should You Switch Your Smartphone Plan? Verizon will introduce tiered data pricing on October 28, Engadget reports. 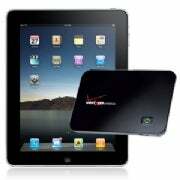 Unlike AT&T's two-tiered data plan, however, Verizon will not be abandoning the unlimited data option for smartphones. The popular wireless provider has been hinting at moving toward tiered data plans for some time now, and finally confirmed the switch in late September. Verizon Wireless chief executive Ivan Seidenberg told investors during a press conference that the introduction of new products and services would "allow Verizon Wireless to introduce a tiered pricing structure." Verizon is the second major mobile phone company to adopt tiered data plans --AT&T first introduced its tiered plan earlier this year. The Verizon plans are different from AT&T's two tiers for iPhones (200MB/month for $15 or 2GB/month for $25), and perhaps the most significant difference is the fact that Verizon will not be abandoning the option of unlimited data. Smartphone owners will be able to choose between 150MB/month for $15 ($0.10/MB overage), or unlimited data for $29.99. Feature phone owners will be able to choose between $1.99/MB "pay as you go" (the same as the current $1.99/MB option), $150MB/month for $15, and unlimited for $29.99. MiFi, FiveSpot, and integrated netbook owners will be able to choose between 5GB/month for $50 and 10GB/month for $80. MiFi and FiveSpot users will also be able to choose a 3GB/month plan for $35 as part of a 90-day promotion (this plan is designed for tablet users). All of these plans feature an overage price of $10 per gigabyte. Finally, if you pick up a MiFi-enabled iPad (on sale October 28) from Verizon, you will be able to choose between 1GB/month for $20, 3GB/month for $35, 5GB/month for $50, and 10GB/month for $80. All of these plans will have the overage rate of $10 per gigabyte. Depending on how much data you use, this could be more expensive than AT&T's iPad plan. Current Verizon customers will not be required to give up their data plans (the 25MB/month for $9.99 option was eliminated), and will be able to switch over (if they so choose) at any time. As far as we know, this tiered pricing structure is valid for Verizon's 3G network only -- when Verizon updates its network to 4G, the prices/plans may change.